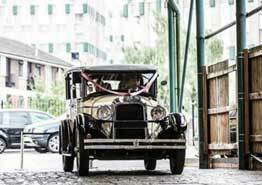 A.T. Beauford have been offering wedding car hire in Enfield for a number of years. 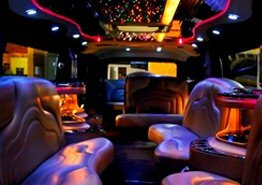 We have a fleet of the finest wedding vehicles ranging for classic cars to limousines, which are all driven by our professional and courteous drivers. When you choose A.T. Beauford for our car hire service, we’ll ensure you receive one of the highest standards of service available in the Enfield area. 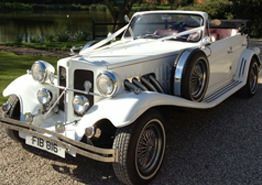 At A.T. Beauford we offer some of the most sought after wedding vehicles. When you choose us as the car hire of choice for your wedding, you’ll be in the safe hands of an experienced and professional chauffeur driver. Our wedding cars are perfect for chauffeuring the bride and groom to their venue of choice; allowing them to arrive in comfort and style. Our all round high standard of service has helped us develop a well known and highly recommended wedding car hire service throughout Enfield. For a number of years we have helped make many a couples big day special, whether you’re wanting to travel to and from in a relaxing manner or wanting to steal the show and make a real impact that your guests are sure to remember; our range of wedding cars are the perfect choice. When you choose to use us for hired wedding cars, we’ll allow you plenty of time to enjoy the vehicle and they also provide a great photo opportunity for your special day. 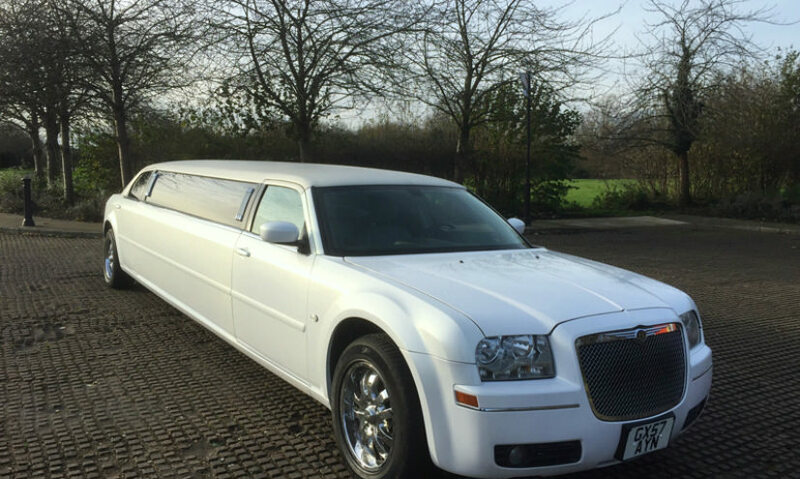 Looking for simplicity or to steal the show then you’ve found what you’ve been looking for with A.T. Beauford’s car hire for weddings service. We are known throughout Enfield and the surrounding areas for offering an exceptional fleet of vehicles for wedding hire. 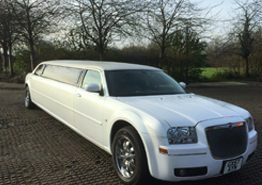 With some of the finest cars available to choose from including traditional classic cars, vintage cars such as the White Beauford and modern options like the Chrysler Limousine. All our cars are polished and cleaned to the highest quality; when you choose us for your wedding day, it will be like experiencing a brand new car. 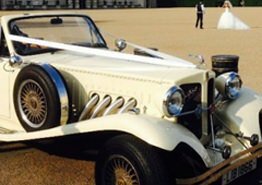 Our aim at A.T. Beauford is to help make your wedding day as special as possible; which we hope to achieve with our wedding cars. 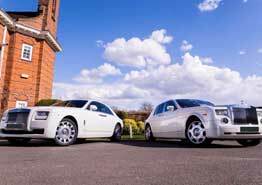 Offering an unbeatable selection of cars, we offer our hiring of wedding cars service in and around Enfield. From high quality interiors to stunning outside visual opportunities, our cars combine luxury, comfort and a great photo opportunity. All of our cars are driven by one of our highly trained and professional chauffeur drivers to ensure you receive one of highest standards of service to help make your wedding day the most memorable day of your life. We are so proud of the service that we offer but we happily welcome you to arrange an appointment to come and see our fleet of vehicles, so you can help gain a better understanding of the high quality wedding cars we offer. 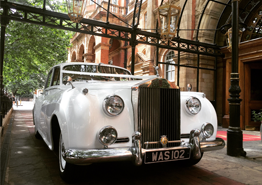 Available throughout the Enfield area, we have many happy customers for our wedding car hire which can easily be see in the testimonials section. 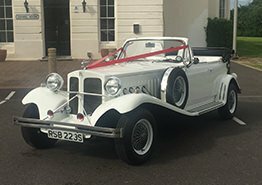 To arrange an appointment with A.T. Beauford to take a look at our cars, have a chat about hiring service or to book us for wedding car hire give us a call one 020 8368 5225 or fill in our enquiry form.